Barnsley are trying to sign Accrington Stanley defender Matty Pearson as Andy Yiadom’s replacement. The Reds are desperately scrambling to bring in even more players to strengthen their squad for a tough Championship campaign ahead. Head coach Paul Heckingbottom already wanted to add four more players before Ghanaian international Yiadom rejected a new deal at Oakwell last week. After having two bids knocked back last month, Premier League new boys Huddersfield Town are closing in on the right-back in a £2m deal. And with James Bree leaving for Aston Villa back in January, Heckingbottom is light in terms of options at right-back. It would reportedly cost the Reds somewhere in the region of £500,000 to tempt Stanley to part with the player. The 23-year-old impressed last term as he played 51 times for the League Two outfit, pitching in with nine goals in the process. 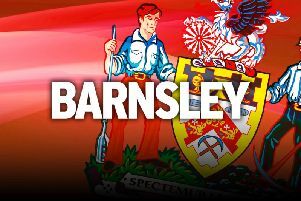 His profile ticks the young and hungry boxes Heckingbottom looks for in potential new signings. Another player the Reds are keen on is Joe Lolley at Huddersfield. However, David Wagner is reportedly trying to get the 24-year-old to sign a contract extension amid rumours of interest from Barnsley, Sheffield United and Sunderland. The Reds announced their squad numbers for the new season yesterday. New boy Cameron McGeehan, who joined the club earlier this summer from Luton Town, has been handed the number eight shirt - previously worn by influential captain Conor Hourihane. The player is slowly edging towards full fitness after his broken leg. He completed his first 45 minutes since the horror injury at Portsmouth seven months ago in the U23s on Tuesday night. Meanwhile, former footballers Matt Murray and Dale Tonge have been added to the club’s academy coaching staff.